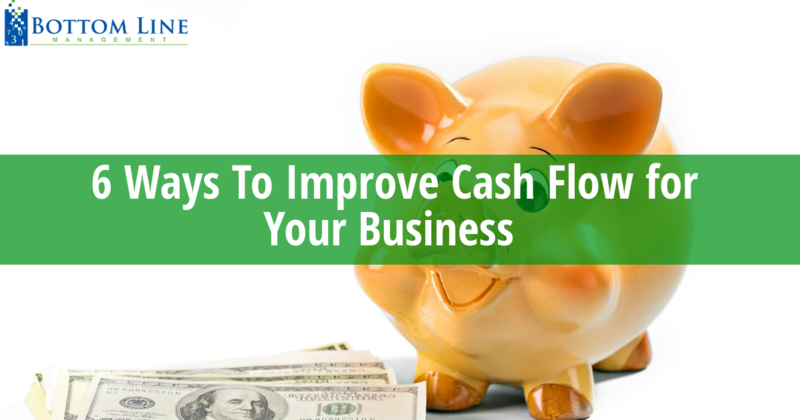 Cash flow is basically the money that is moving in and out of your business in a given month. Think of it as a window into your business checking account. If more money is coming in than is going out, you are in a “positive cash flow” situation and you have enough to pay your bills, employees, advertising…etc. If more cash is going out than coming in, your business checking account will be overdrawn, and you’ll be in a “negative cash flow” situation. Cash comes into your business by way of your customers or clients that purchase your products or services. If customers don’t pay at the time of purchase, some of your cash flow is coming from collections of accounts receivable. Cash goes out of your business by way of payments for expenses like employee wages, rent, utilities, operating costs, loan payments, tax payments, and other accounts payable. While there are ways to cover cash flow problems in the short term with working capital – like a bank loan, or line of credit – these are not long-term solutions for any healthy successful business. Running a business is hard work, and that work comes with a wide array of challenges, one of the biggest being managing your cash flow. Many business owners often underestimate the importance of positive cash flow, they fall victim to thinking that if their business is earning revenue then it will continue to result in growth. The fact is, without adequate cash flow your business will certainly not grow, and could very well fail altogether. According to The Small Business Administration, “inadequate cash reserves” are a top reason why startup businesses do not succeed. Check out this example of a simple cash flow spreadsheet. Create & maintain a budget based on using actual cash in/cash out from the past. When you are able to predict your monthly accounts payable – such as rent, wages, taxes…etc. – and factor those costs against the income you expect to bring in from sales of your products and services you can identify if & when you’ll need a boost in working capital to cover any negative cash flow situation. This is where accounting software like QB will help because with QuickBooks you can easily set up a Budget for a calendar year. Then compare the budgeted amounts against the actual amounts every month to see if you are on track. This will help you manage your cash flow more efficiently. This one is more for professional services more so than retail, simply because at the retail level businesses sell something and get paid for it at the time of sale. For other businesses invoicing is a popular way to collect payment from your customers. What’s important to remember here with regards to cash flow is to make sure that your payment terms are communicated up front and clear enough for your customer to notice. Furthermore, your payment terms should account for times when you don’t receive payment from a customer even though it is due or past due. In this case, it’s important to have a follow-up process in place and to clearly communicate that process as part of your payment terms. Automated invoicing solutions can help you by notifying you when customers have received – and viewed – your invoice, and enable you to set up automated reminders should the invoice go past due. When your payment terms are understood and enforced, your cash flow situation will be less likely to enter the negative zone. No business wants outstanding account receivables, streamlining your invoicing process or system will help you collect payments that are due. In the digital age, print & mail invoicing has essentially gone the way of the DoDo. Why spend time manually creating an invoice each month, then paying for postage, then waiting for the mail to get to your customers? Again, online invoicing solutions can alleviate this time-consuming task. Instead of waiting for your customers to receive their invoice via snail mail, then send it back to you the same way, you can shave off hours each month by using an online system. You create the invoice, send it via email, then afford your customer the convenience of simply opening the email, clicking on the payment button and submitting their online payment to you. If your business deals with invoicing, streamlining your system will immediately improve your cash flow. Again, we’re in the digital age here, if your business still accepts checks you are negatively impacting your monthly cash flow. Checks are one of the most inefficient payment methods in terms of cost and speed of payment. Instead of checks, enable your customers to pay you by credit or debit card. Even a bank transfer would be more desirable than a check. Got customers who are stuck on using checks? Here’s one way to make life easier for you, and more cost-effective for them; offer an incentive to switch. 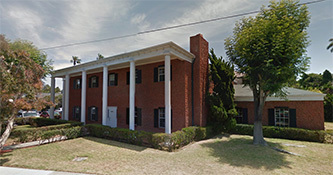 For example, you could offer a discount on their invoice if they switch from paying by check to paying electronically. Removing the option of your customers paying by check will improve your cash flow situation, immediately. This one is especially true with retail businesses. We’ve all seen them by now, digital payments are the du jour of retail. No longer do retail business owners have to deal with carbon paper copies of those sliding credit card imprint thingees, nowadays there are many efficient & cost-effective digital point of sale systems to fit any size business. Not only is this the digital age, but we’re also in the mobile age. Given the growth of mobile and digital payments, your customers are already used to using electronic payment systems. With an updated point of sale system in place, the sales transaction is both quicker for you to get your money and more efficient for your customer to give you their money. That has a direct impact on your cash flow, in a positive way. Maintaining positive cash flow isn’t just about how customers pay you, it’s also about how you pay vendors, suppliers, utilities, taxes, and other accounts payable. Leveraging interest-free credit can have a positive effect on your cash flow. Talk to your bookkeeper or accountant to see if using an interest-free credit option is a viable option for your business. Some financial institutions offer up to sixty days interest-free credit. Just remember, you will need to keep a close eye on actually paying those recurring costs to ensure you don’t go into the negative by having to pay late fees, repayment fees or interest fees – which would negate the whole idea in the first place. Another option to leverage zero-interest credit is to talk with your suppliers and vendors. Maybe they would give you a discount for early payments, just like when you offer a discount for your customers when paying their invoice electronically. Betty and her staff will save your business time and money by turning piles of receipts into complete financials with every penny accounted for. We let you focus on what you do best — running your own business.